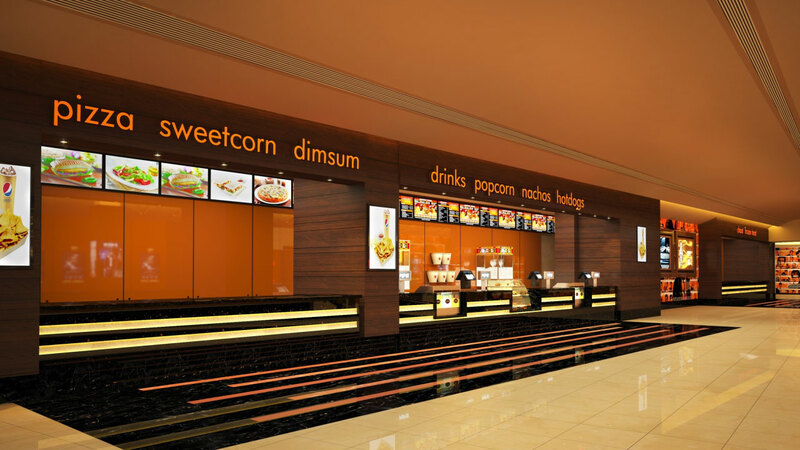 101 Growel Mall is located on western express highway on very prime location. 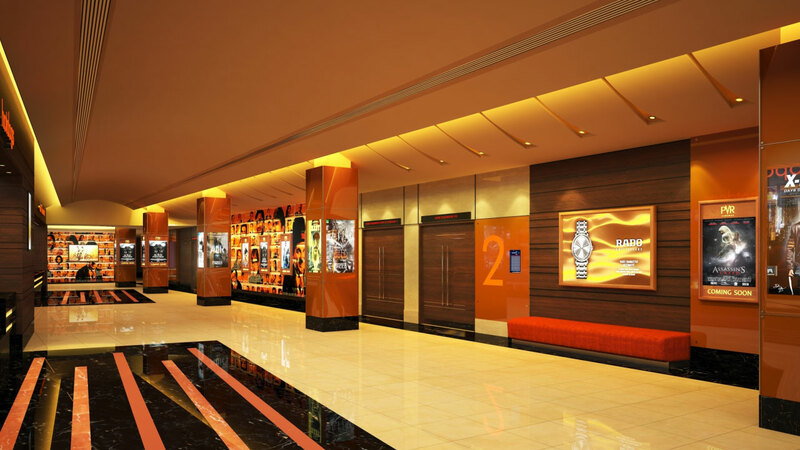 The design of lobby is lavish, with Italian marble finish vitrified tiles. 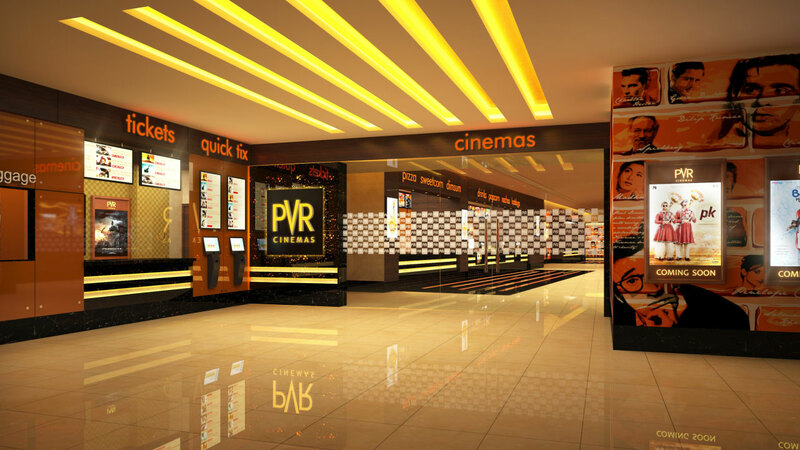 Box Office, Concession counters and built in kiosk are finished in typical PVR pallet of dark brown Italian marble, veneer finish paneling and warm yellow light ambience, bold signage etc. Cinema door has unique feature of lazer cut metal graphical pattern cladded over leather finish laminate.